Michels Homes is four generations of trustworthy builders that have been dedicated to the building industry for over 40 years. Following in the footsteps of past generations, the firm continues to be committed to providing personalized and quality customer service. It is the firm’s mission to build and remodel durable, energy efficient, and comfortable homes. Transparency, reliability, and continuous communication are Michels Homes’ top priorities with each of their clients. The company has a strong history of creating and maintaining positive relationships with their clients, subcontractors, vendors, architects, and designers throughout the Twin Cities. Michels Homes is proud to have been named Remodeler of the Year in 2011 and 2018. This prestigious award is presented to the company that exemplifies the highest standards in business conduct as judged by their clients and trade partners. Our Team: Bob Michels, owner and president of Michels Homes, is a 3rd generation builder. Bob received his Bachelor of Science in Business from the University of Minnesota, and has been involved in the building and remodeling process since 1965 when he began working for his father, Jim. Bob is highly involved in all his projects, and works closely with each homeowner. Bob has been an active member of BATC - Housing First Minnesota since 1978 and served as the associations 2017 president. In addition, Bob is a BATC - Housing First Minnesota Foundation board member and technical director for the BATC - Housing First Minnesota Green Path committee. Andy Michels, Bob's son, is the vice president and 4th generation of Michels Homes. Andy started his experience in the field of residential construction and remodeling at the young age of 12. He spent his summer months helping carpenters and developing construction knowledge. Andy graduated from the University of Wisconsin, Stout in 2007 with a B.A. in Business Administration specializing in Construction Management. Andy handles estimating, scheduling, and project management. Andy is also an active member of the BATC - Housing First MN. 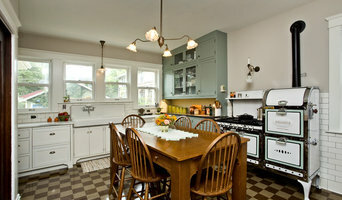 We are design/build remodelers for the entire home. CAPS certified, 2015 Master Design Award winners, 32 years of expertise in kitchens, baths, additions, exteriors, large/small, simple/complicated. APEX Construction Management LLC is an award winning General Contractor and full service design/build firm that specializes in residential remodeling. It provides professional design and project management services for projects of all sizes but excels at home additions, kitchen and bath remodeling, basement finishing, porch/deck construction, exterior facelifts and energy upgrades such as windows and doors. NARI named APEX 2017 MN Contractor of the Year for residential additions up to $250,000 and 2018 Regional Contractor of the Year in the same category. Owner John "JB" Biancini is a Certified Remodeler, Certified Aging In Place Specialist, and Certified Kitchen & Bath Remodeler. APEX is EPA Certified for Lead Remediation, and participates in the Minnesota Green Path Energy Efficiency Program. At Bald Eagle Builders, we want you to feel that from the very first meeting, your interest is our number one priority. We build your home to fit your needs, lifestyle and budget. Frontier Structures, LLC. designs and manufactures high performance accessory structures and outbuildings that are perfect for expanding your personal living space. A home office, lake house, studio or guest house are primary uses of these buildings. We design and build with industry leading products and materials resulting in a stunning product that meets the next generation of energy standards. The benefit to our clients is that we are a professional team that promises to satisfy beyond expectations. We achieve this by establishing a relationship of comfort and trust, and leveraging our network of professional designers and subcontractors that are best suited to help us bring our clients vision to reality. We have built a strong reputation as being a friendly company that strives to come in on time and on budget while presenting remarkable finished products to our clients the first time, every time. As the Twin Cities premier luxury home builder, we have built our business on a solid foundation of dedication and integrity. When you work with us, you can rest assured that your home is being expertly crafted with your unique vision in mind. We have the highest standards when it comes to the design talent and the skillful subcontractors who help us construct and remodel our exceptional elegant residences. We're happy to be the experienced, accomplished partner right by your side throughout the entire process, from the initial meeting until the housewarming party. From the initial design all the way through project completion you can rest assured that Sunrise Design & Construction LLC will get the job done both on time and within your budget. Zawadski Homes Inc has been building finely crafted homes in the Twin Cities since 1979. Zawadski Homes is the wise choice to help you realize your vision of the perfect home. From exterior construction to interior design, our unparalleled experience enables us to deliver outstanding quality every time. Established in 1982, our focus has been on integrity, reliability, and quality. From luxury home projects or small remodels, to full scale commercial building projects, we monitor every detail that goes into your project. We'll be with you every step of the way, from the initial meeting with your architect, to smoothing out the final touches. We practice an open-book policy so you know exactly what you're paying for. Braden Construction's crew of project managers, field supervisors, carpenters and support staff are dedicated to making certain that each of our building projects is done right. Braden Construction is one of the premier home and commercial builders and remodelers in Minnesota, Wisconsin and the upper Midwest. Long term project managers, Paul Patnaude and Rick Vezina purchased Braden Construction from Andrew Braden in 2016, and are very excited about the future of the company. Coty Construction & Remodeling is a home contractor that specializes in residential roofing and exterior remodeling for the western metro and surrounding areas. Being in business since 1978 has allowed us to continually serve our community with affordable and high quality work time and time again. We understand the value of a dollar and make sure to do everything in our power to complete each job on time and within your budget. Anytime work is being done on your home you want to make sure it is being done at or above code. Our professional team at Coty Construction is fully trained and has years of industry experience. This allows us to complete any job with the highest attention to detail. We understand the importance of doing a job right the first time and guarantee each job will not only meet your expectations, but exceed them. Our customers agree by honoring us with Reader's Choice Awards for 2016 Best Roofing Company in Richfield & 2015 in Minnetonka/Deephaven, 2016 Best Siding Company in Minnetonka/Deephaven & Excelsior/Chanhassen, and 2016 Best Gutter Company in Columbia Heights/Fridley in the Sun Current/Sailor. 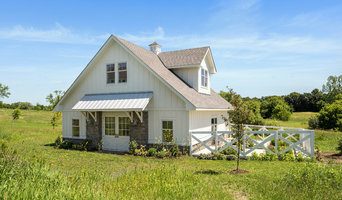 Hartman Homes is an award winning, custom home builder, since 1985, specializing in single-family new home construction. We also provide multi-family, commercial, and remodeling services. No sacrifices, No surprises. Medium sized family-oriented company providing extra attention to customer service and quality of construction. Long-term relationships with the right sub-contractors mean the customer gets the proven quality they are looking for. After being in the business for 30+ years Hartman Homes has refined the art of building homes. We have assembled an award-winning team of employees and craftsman that are at your service. We pride ourselves in giving customers the highest quality product, design, and process for a great value. Lindus Construction was founded by Kevin & Emily Lindus in 1979 and is now in its second generation of ownership by their three sons. The Lindus sons, dubbed the “A Team”, are Andy, Adam, and Alex. They all have learned a solid work ethic and a passion for the home improvement industry from their parents. While Lindus Construction has grown from two to over 100 employees, Andy, Adam, and Alex believe in running an organization with the same value system their parents did. One of their personal mantras is that the company’s biggest assets drive out of the parking lot each evening after they complete their workday. They treat their employees as an extension of their family. Another branch of the Lindus Construction family is the 75,000 happy customers we’ve had the pleasure of serving over the past nearly 40 years. That’s because we believe every encounter with a client is an opportunity to earn a customer for life and why a large part of our business comes from past customers and referrals. 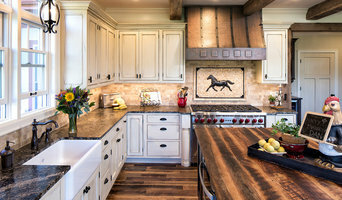 Alma Homes is a boutique homebuilder and remodeler whose main focus is always on our client. Being boutique, we intentionally take on fewer projects each year. This allows us to dedicate more time to each client and create a home that is tailored to the way they live. We do all of our design in house, from the initial sketch to hanging the last piece of artwork on the wall. We pride ourselves not only in our attention to detail, but the quality and efficiency of our work. Our talented staff has over 40 years of experience, and is here to guide you through the design and construction process. We strive to take the stress out of homebuilding, so the process is fun and exciting for everyone we work with. Jkath Design Build + Reinvent was founded by Jesse Kath in 2010. Jesse has been in the business of building since 2000. After working several years in corporate America and earning an MBA degree, Jesse pursued his first love of building. Utilizing his business acumen, artistic vision and unique craftsmanship, Jesse applied his talents on a larger scale when he founded his company. Fast forward 4 years and along came Katie. She previously owned a successful wine bar in Minneapolis for nearly a decade and has always been passionate about independently owned businesses. Katie was immediately drawn to the design potential and the ability to utilize her creative talents and work direct with clients. After several late nights of collaborating on new client projects, the newly husband and wife team decided to jump in with both feet. Today, the clients work directly with both Jesse and Katie on all renovation goals. Their work won a ROMA award and landed several industry partnerships. Their clean aesthetic and overall attention to detail has earned them a long list of past and future clients. Lang Builders, Inc has been building homes for family's to establish traditions, mold family's values and form our identity. Our design is more comfortable and more functional for family living. Working with you from start to finish on building/remodeling. With in house architect we start designing right away with you. A passion for old homes in Saint Paul: For as long as I can remember, I’ve had a passion for the warmth, history and craftsmanship of old homes. This passion, combined with my love for working with my hands, inspired me to embark on a career in the construction industry over 25 years ago. Uniting Old and New: I founded Ben Quie & Sons (formerly Tectone Construction) in 1988. We are a St. Paul home remodeling company specializing in bringing together the charm of vintage homes with the appeal of modern conveniences. From fine cabinetry to custom-made millwork, our keen eye for detail allows us to seamlessly unite the old with the new. Whether you are considering the potential of a dated bathroom, a complete kitchen remodel, or a home addition, my team of dedicated professionals and I can make your vision a reality. Smooth, Predictable Process: We understand that remodeling is somewhat of a painful process. It is our goal to ensure that the process runs as smoothly as possible. Decades of studying and perfecting the art of remodeling enable us to meet that goal on every project. We have established longstanding relationships with high-quality craftsmen to ensure that the job is done skillfully, on schedule, and on budget. We use only the finest products to make certain that your home looks just as beautiful 100 years from now as it does today. We pride ourselves on our reputation for cleanliness at each and every job site. We are there with you every step of the way, from initial meeting to final walk-through and beyond. 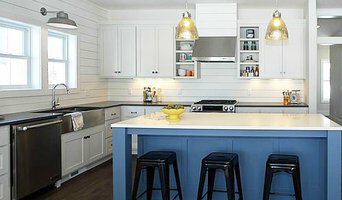 Custom Design/Build Residential Remodeling Contractor.